(Verse 1) I believe the Bible, I believe the Bible, I believe the Bible is the Word of God. 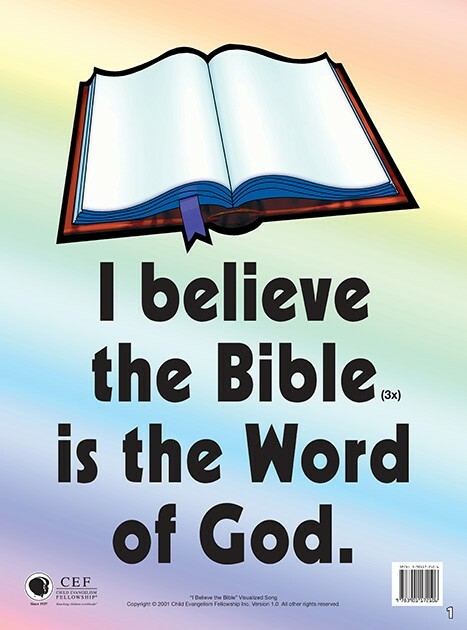 (Verse 2) I believe in Jesus, I believe in Jesus, I believe in Jesus, He's the Son of God. 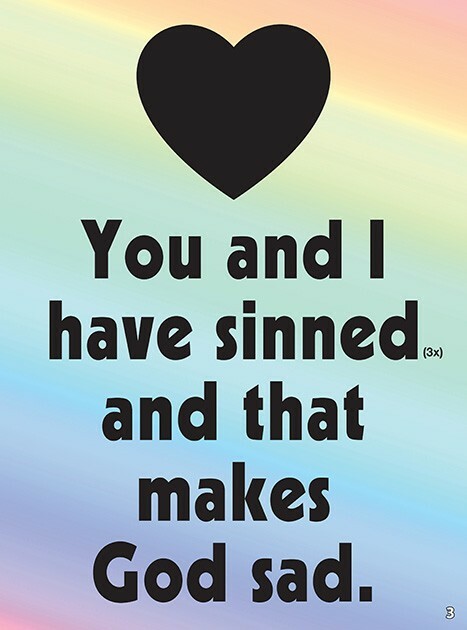 (Verse 3) You and I have sinned, you and I have sinned, you and I have sinned and that makes God sad. 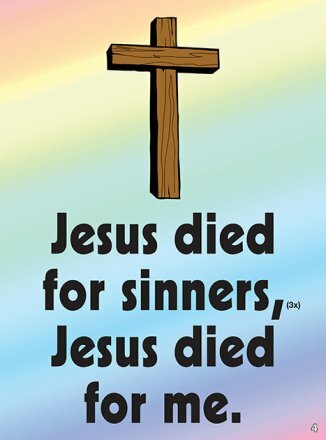 (Verse 4) Jesus died for sinners, Jesus died for sinners, Jesus died for sinners, Jesus died for me. (Verse 5) Jesus Christ is risen, Jesus Christ is risen, Jesus Christ is risen, He arose for me. (Verse 6) Will you now receive Him, will you now receive Him, will you now receive Him and be saved today?